Are you confused about whether to contain that slope in your garden behind a retaining wall? 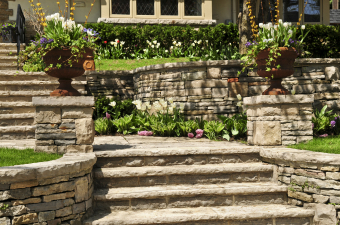 These structures are one of the most decorative and functional design elements to add to a sloping garden. If you have an unsightly, crumbling bank of sand near your house, they could be an important safety feature too. The number one function of this kind of wall is to keep soil in place. By doing this, it acts against the pressure of downslope movement. Thus preventing gravity from pulling your carefully designed flower bed earthward. Drainage, tie backs, gravel, and waterproofing are all part of the science behind retaining walls. Providing it is correctly built, a 4-foot high, 15-foot long structure can keep 20 tons of earth at bay. These clever constructions also control water runoff. They effectively slow flowing water enough to prevent flooding and the erosion that comes with it. A deluge of water can destroy your carefully managed garden and damage the foundations of your home and cause sinkholes. People have been using walled terraces to grow crops since the time of the ancient Incas. By creating platforms on sloped areas of your garden, you can maximize your arable land and plant more flowers and shrubs, or a vegetable garden. 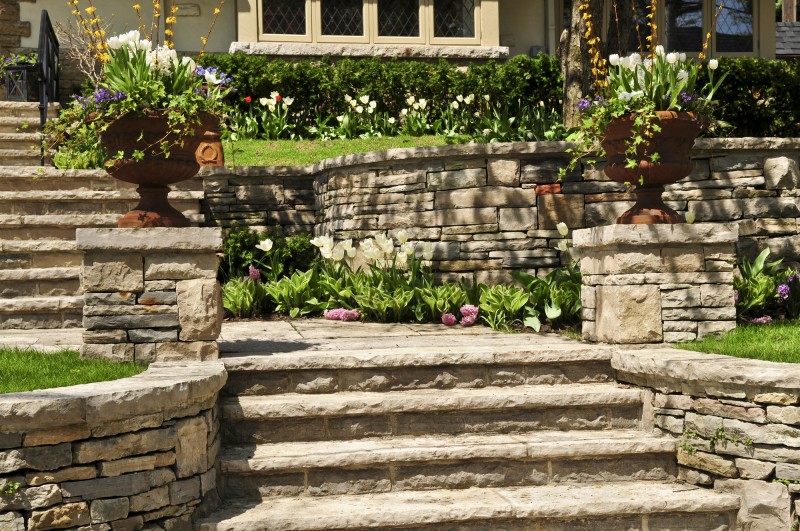 Apart from terraced flower beds, you can also create attractive features using retaining walls and add value to your house. They're great to push back a slope to create an outdoor entertainment area, to make space for a swimming pool, or to form a courtyard. You can build a children's play area where there was nothing but a slippery sandy slope before. If you prefer to keep it simple you can plant an expanse of lawn on your newly reclaimed land. You can design your wall out of timber, concrete or stone to match the design of your property. Have a look at our gallery for some more ideas. These solid walls act as a safety net for your house and garden. Rain produces runoff which in turn can hurl large rocks and debris towards your home. By holding back these forces of nature, retaining walls can save you thousands of dollars in repairs to your property. Even if your home escapes damage, tidying up the garden after a storm can take up hours of your time. Hours you could rather spend enjoying the garden you’ve worked so hard to perfect. It doesn't take much to maintain them either. Is a DIY Retaining Wall a Good Idea? Considering the engineering involved in building a retaining wall, it's not something you want to DIY. With over 25 years experience in the landscaping industry, we know how to build a retaining wall to suit any requirements - cosmetic or functional. Call us today to discuss solutions for all your landscaping needs.